It was the month of February and I was a few miles into the high desert looking for javelina. My hunting partner and I hiked quickly through the rocky dry landscape that is Arizona, peering through our binoculars as we went. This rugged terrain eats through boots much like wax melts beneath the hot flame of a candle. Up until this point, I had always gone the cheap route in terms of what boots to buy for my hunts. After spending the day glassing for javelina to no avail, we decided to head back to the truck. On the way out, the whole sole of my boot came off and I was left hobbling through the desert. I remember cutting my shoelace and using it to strap the sole back to the boot for the walk back. No longer would I skimp out on boots because of this. With all of the types of boots on the market, choosing the right one for you can be a bit daunting. All of us are different in terms of our feet and what we need a boot to do for us. 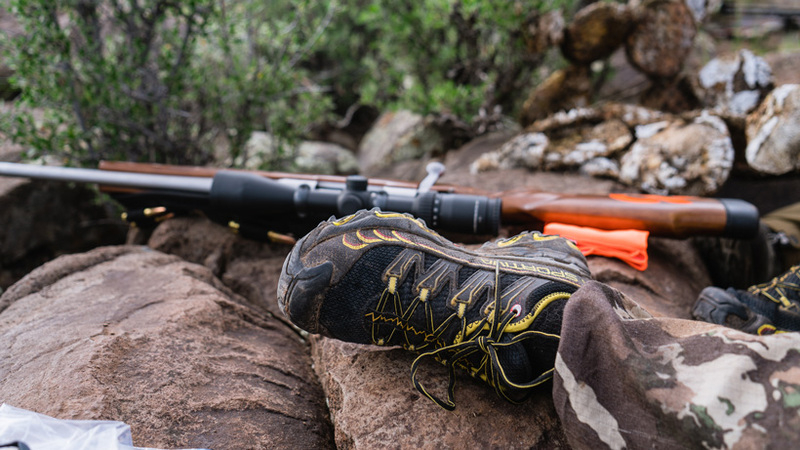 Maybe you are an ultralight hunter who wants the lightest boot possible with minimal stiffness. Perhaps, you frequent the craggy mountains that sheep call home and need something much beefier. Whatever the case is, we all have one thing in common here: We need a good pair of footwear to carry us through our journey, no matter what that journey entails. In light of that, I am going to go through the different options we have out there for boots. Is one better than the other? Let's find out. I am sure when you think of hunting, the first thing that pops into your mind is not "ultralight trail runners." Why in the world would someone actually wear a trail runner on a backcountry hunt or any hunt in general for that matter? You are not alone in your thoughts here. Believe it or not, though, there are quite a few folks out there that really enjoy rocking these in the mountains. They are extremely comfortable, usually waterproof, lightweight and quiet. This is great for bowhunters out there that prefer to not shed their boots on a stalk. An option like this is going to save you energy in the long run as well from not having to lift up a heavier option with every step you take. They also have a little to no break-in period, which is another plus. However, there are some drawbacks with this type of shoe. The first is going to be durability. Not in a million years will a pair of these stand up to the rigors of the mountains like a pair made of full leather with rubber rand option. This means you will be spending more money more often to stay in the game with your feet as you replace your footwear over and over. You lose two things here: longevity and the shoes staying waterproof. Once a cactus needle goes through your lightweight footwear, guess what? No more dry feet when it rains. A gaiter could help with this and with debris getting in through the tops, but you can only do so much. However, it's a give and take. Are the cons worth the pros? For many they are. If not, let’s keep looking. Next on our list is what I like to call a "tweener." A kind of hybrid if you will. They are neither heavy nor extremely lightweight but fall right in the middle of everything. 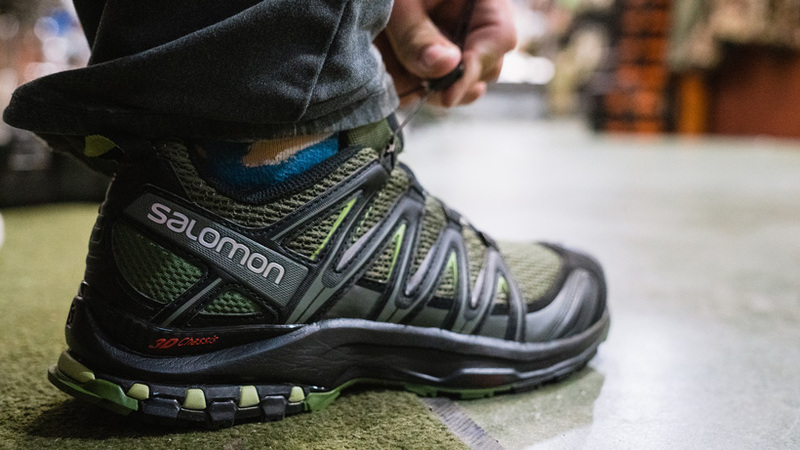 They are a great option for most people out there while offering much more support than the ultra-light model... I like to think of these as a heavyweight trail runner. I say that because they maintain the comfort of the ultralight option, but have an increased value in durability. They are a win-win. Because they have a soft sole, they are going to be quieter than a boot with a hard sole. As you are traversing through rocky terrain, you will notice that these boots tend to wrap around rocks, rather than fight with them. There is much less resistance to the different terrains you will encounter, hence giving them the ability to make less of a racket. They are great for bowhunters. I've successfully stalked animals in these many times. They offer little to no break in period as well. So, are they perfect? No, unfortunately, they aren't. While these are more durable than the ultralight versions, some still fall short in this category. That isn't necessarily a bad thing, but I can see how some folks might not be OK with that, especially after laying down the cash for them. I have found that boots in this category will last about a year, give or take. I've also heard of people getting up to four years out of them, too. It really depends on how much you use them. Another drawback is going to reflect the first and that is waterproofing. Once the outside of the boot is compromised, your waterproof boot is no longer waterproof. You might also notice that your feet sweat more in these than in the lighter options. With them being waterproof on top of more beefy, they are not as breathable. Worth it? If not, let's keep looking. A full leather boot with rubber rand on a hunter is a classic image to me. They have stood the test of time and continue to do so year after year. 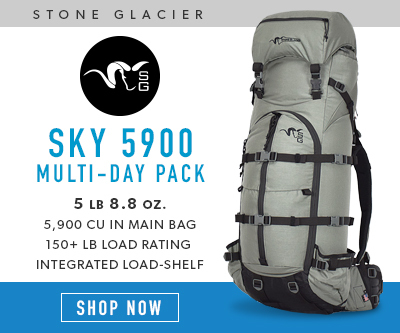 With this route, you are going to get the most out of durability, waterproofing, and support. There is a reason that guides and outfitters across the West gravitate towards this type of boot. They are in the field more than any of us, packing out animal after animal and need something that will withstand whatever is thrown at them. Longevity is of no concern, especially if you take care of the leather. By doing so, you will just increase the life and waterproofing of the boot. I have heard of many hunters getting these resoled over and over again. Unlike the soft sole option, with these, you will not feel the rocks you are stepping on. That could be considered a positive or negative depending on how you look at it. A positive because they will save your feet from abuse. The negative? We'll discuss that below. 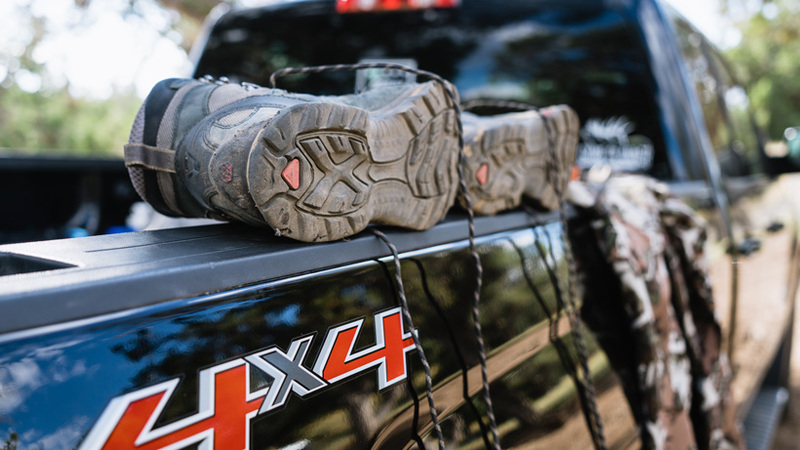 Simply put: these boots were built for the mountains. What is not to like about these? 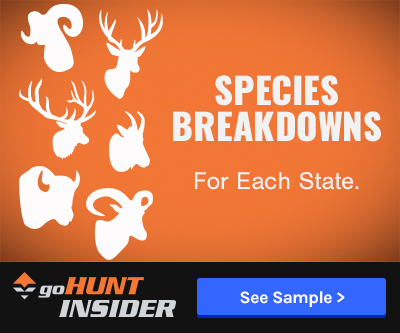 It sounds like they cover the gamut with hunting footwear. Just like the others, there are cons that go along with the pros. The biggest one for me is comfort. These boots are going to be way stiffer than the others, which is going to make them not as comfortable as a soft sole option. In light of that, they are also going to require much more break-in time. So, if you do go this route, make sure that you spend the time before your hunt breaking them in. If not, you might be in for a world of hurt on the mountain. I've made this mistake before and it's not fun. Because of the stiffness, I also find it a lot harder to walk around. They do not conform to the shape of a rock, so your legs will get thrown to the right or left if you aren't paying attention. A lot of stumbling goes on here if you aren't used to these. Due to them not conforming to rocks, these are not going to be a good option for stalking. Plan on ditching the boots above that bedded buck. At first thought, I think it is natural for all of us to gravitate towards waterproof footwear. How could we not, right? We encounter all sorts of weather, paired with creek crossings, etc. when we’re hunting. It’s important to understand something about waterproof footwear, though. They keep water out but also will keep water in. On more than one occasion I have heard of people complaining about how their waterproof boot wasn't keeping the water out. While this could be the case some of the time, it might not be all of the time. It might be an issue of sweat inside the boot, rather than water getting in. Having a good sock, along with airing your feet out during the day could alleviate this. This is hands down the number one thing to consider—no matter the boot. Spending the time actually going and trying on these different options to make sure they fit you right is going to pay off huge in the end. Proper fit is everything when it comes to boots. I would rather have a less durable, less waterproof boot that fit me than one that is the most durable and waterproof option out there, but that didn't fit. I would highly recommend that you go to someone who is qualified to fit you. This will give you a better idea of what options are going to be best for you. When you do go and try on different pairs of boots, don't forget to bring the sock you are going to plan on wearing with them. Doing so is really going to give you a better picture of how they actually fit. It doesn't matter how they feel with socks you aren't going to use in the field. Another thing to mention on socks is I truly believe that most folks go too thick with socks. They are paranoid about their feet getting cold and naturally want a thick wool sock to pair with their hunting boot. This is especially true for late season hunts. I would urge you to try out a thinner option, though, particularly for western spot and stalk hunting. I used to wear multiple pairs of socks when I was a kid and I would always get cold feet. Fast forward to present day and I really enjoy a very thin merino wool sock year-round. I run the same sock in January that I run in August. Low temperatures during January here in Arizona where I hunt sit anywhere from 10 degrees to mid-30s. Keep that in mind. Doing this, I don't have the cold feet problem any longer. Probably, because my feet aren't sweating anymore. I wasn't a huge believer in aftermarket insoles until I was faced with a boot that was giving me problems. Over and over, I kept getting what we call heel lift. This was because the boot didn't fit me perfectly. It felt great on flat surfaces, but once we started climbing, that dream was gone. Something that completely fixed the issue for me was replacing my insoles with ones that have more depth. Doing so took up more room in the boot and did away with my issues. Aftermarket insoles seem to offer way more comfort and support than the ones that come with these boots. I'd strongly consider this—even if the boot isn't giving you a problem. So, out of the options we have discussed, which boot is the best? I think you have gathered up until this point that it is a very individualistic thing. We are just so different in how our feet are shaped combined with what we need out of a boot. Some folks put comfort over support and some the other way around. There is no right way for everyone, except their way. The only way to find that out is to get out there and try these on for yourself. Ask yourself what kind of terrain will you be in most of the time. How cold or warm will it be? Are you backpacking? Whatever route you go, do your research and don't cheap out as I did in the beginning. Your boots are your tires and, without them, well, getting around is going to be a challenge. I am happy to report that since I have changed my ways with boots I have not had to walk back to my truck with my sole tied on via shoelace. @Seth D. I have the same half size problem. I'd say half sizes stop at 11.5. I measure a 14.5, so a 15.5 would be perfect for me, but doesn't exist. I went to Lathrop & Sons but their boots don't go that large so they put me in a Lowa size 16! With Herman Munster feet I didn't want any extra size or weight than necessary, but that's the reality. Long story short with good custom molded semi-compliant foot beds and wool socks + liner socks = zero problems or blisters with many many miles on their first season an packed out some heavy loads (did lots of pre-break-in). If I were you I'd go to Lathrop & Sons as they have a very scientific measuring technique. When you have healthy feet you have a lot of options. But when you start to have foot problems then you can spend a lot of time and money trying to find huntable comfort. For me relief is found in stiffer soled boots, aftermarket insoles, compression socks and ice, icy water and foot stretches and "exercises." - Lowas have been surprisingly wonderful and they're my go to boot. Stepping up one size and getting a thicker insole did wonders for the balls of my feet and toes - a tip from a search and rescue veteran. - Kenetrek did my feet wonders but the soles were slick in my rainy hunting environment. They are now my backup boots. - I haven't tried Crispis (yet) but Cody with Born and Raised Outdoors has found comfort for his ailing feet with a couple of models. - Insoles. Instead of buying your shoe size take them out of the box and stand on them. For my size 12 feet I had to step up to the largest Superfeet, but the plastic couldn't hold up to my rugged hunting. ==> Sole insoles were the answer for me. Size 13 fits my size 12 feet. But if your boots are going to get wet don't buy the corks - get the plastic mid- or thick Soles instead. The Sole product team shared that the corks can lose their form after getting wet. I wear a 13.5W and wish that someone would actually make a 13.5 that fit. There are some Euro 47-48 sized boots that work, but they are fairly narrow. Anyone else wearing a 14 because you can't find a 13.5 that is worth a darn? The only insole that I could get to get rid of this issue FOR ME, was the SOL blue insole. It is a cork insole that takes up quite a bit of room in the boot. That fixed the issue for me. Another thing you can try is keeping the original insole in the boot and then adding another on top of it. Doing that will take up space in the boot and hopefully get rid of the problem. Thanks for hammering it home with all of that awesome insight Josh! Useful stuff! This can be quite the can of worms but I will try to stay on track! For the record, I am a technical apparel developer in the motorsports industry and have worked with boots a fair amount yet I don't consider myself an expert. I have no alliance/affiliation with any with hunting/outdoor boot manufacturers. In what I would call "typical" waterproof boot construction the Upper (outside part of the boot excluding the sole) is patterned, cut and sewn independently of the liner. The Uppers are stitched together and then the inside is covered with flexible shoe cement wherever there are stitches. Some companies skip this step, and the amount of seam glueing varies by companies that do no skip this step. Boots such as the Crispi boot pictured above with very few seams, are your best bet for keeping water out of the boot. On another production line, the Bootie's or liners are made. Depending on the boot, the bootie will be a multi-layer laminated package with 3 - 5 layers. 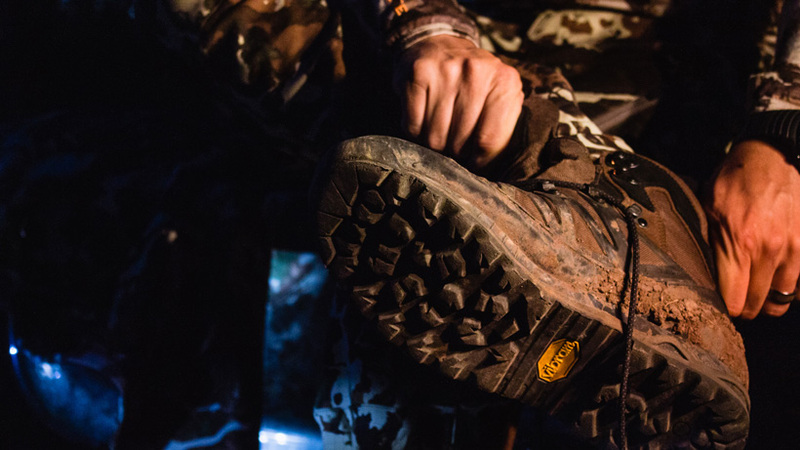 The layers (from outside working in towards the foot) usually consist of a protective covering for the waterproof membrane, the waterproof membrane, insulation or foam padding, and finally the moisture wicking comfort liner you see when you look inside your boots. Sometimes, the insulation can be on the outside of the waterproof membrane and glued in to the upper. This is a production and cost shortcut and is not uncommon. This laminate package is patterned, cut, sewn and seam taped into a sock shape that will fit in the Upper. Often times there is a flat Gasket at the sole portion of the Bootie. With the Upper and the Bootie flipped inside out, they are stitched together at the top Collar of the boot. Then dabbed with glue in certain locations and flipped outside out. Then the Bootie/Upper package is pulled over a foot form called a Last so the sole can be glued or stitched on. During the lasting process, there is a lot of pulling and tugged going on and the waterproof bootie can be damaged in this process. A sloppy or brutish operator or perhaps a damaged last can cause holes and tears. Lasts are not cheap and not discarded or replaced often. The result if all goes well is a fairly water resistant Upper with a waterproof Bootie liner. It is not uncommon for water to mingle between the Upper and the Bootie on a normally functioning boot. If there was any damage to the membrane during production, it may not take long for the water to find its way to you foot. A few newer methods for waterproof boot construction are out there now. They are pretty cool, but complicated and often expensive and/or require licensing agreements. On an Outdry boot, the waterproof membrane is attached by glue and vacuum to the upper of the boot and isn't "floating" like typical bootie construction. This keeps water from entering the boot at all. It is a pretty cool process and has a lot of benefits but if the Upper is damaged, you lose waterproofness. There are now a few companies making one piece textile uppers that use waterproof fabric. This is also a cool method but limits what you can use for Upper materials so you will mostly only see these in lightweight waterproof running shoes. The one piece patterns are complicated to make and work with so it might scare off some of the less expensive shoe companies. More often than not and as you mentioned, a wet foot is often from sweat. Wearing too much sock, doubling wool socks, using cotton socks or just super sweaty feet are the usual suspects for wet feet. The downside of full leather uppers is that leather doesn't breathe very well and your feet are going to sweat. 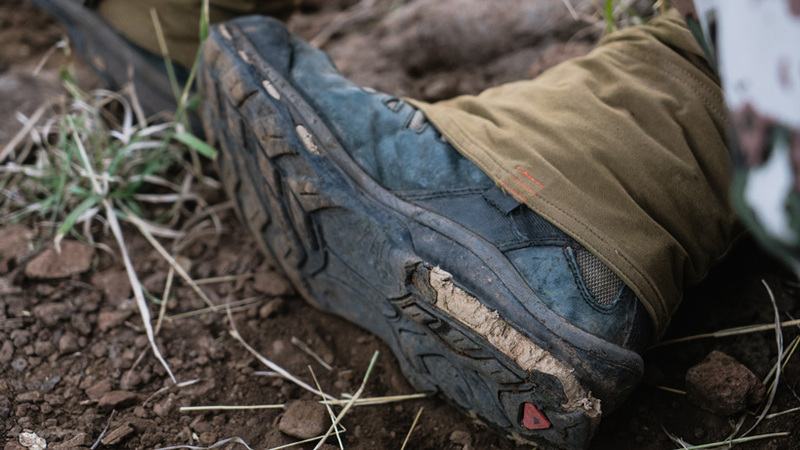 It takes a long time for that sweat to evaporate and thats why backcountry hunters wake up to wet/cold boots when they thought their feet were dry when they took their boots off the night before. Because the sweat lingers for quite a while, it is always a great idea to use a boot dryer when you can. They dry the sweat out and kill bacteria and reduce foul boot odor. So even if your boots are not leaking, still use a boot dryer when electricity is available. As for folks having "waterproof" boots, not waterproof right out of the box, it is an unfortunate reality. First, boots are made by people and people make mistakes sometimes. Second, not all waterproof membranes are equal. 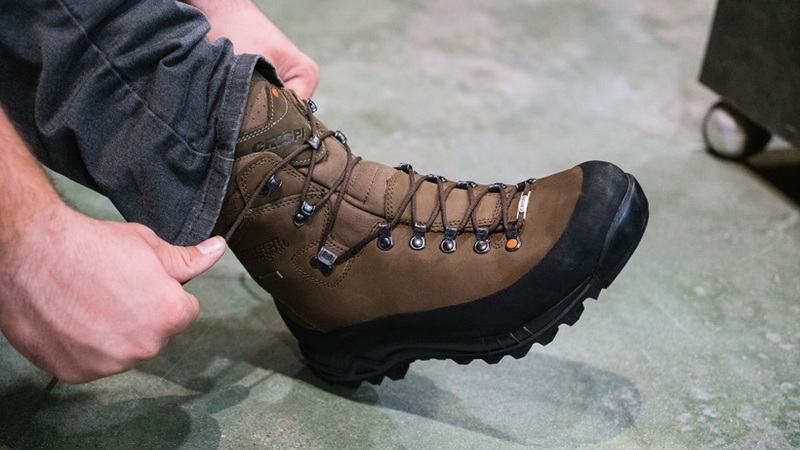 Some high end brands such as eVent and Goretex, require the factory to send them finished boots for a water flex test to make sure they get the seal of approval. Also, quality Control standards vary from company to company and this is often a "you get what you pay for" situation. If a factory is building a boot as cheaply as possible because the brand demands it, corners get cut and line testing can be one of those corners. A good boot company requires 100% testing of the waterproof bootie before it gets sewn to the upper and then they will require X amount out of every 100 to be tested in a water tank post production. This all takes time so more stringent QC requirements raise the price. A good boot brand realizes that paying a little more upfront, saves a ton of money in warranty down the road. If you have concerns about the waterproofness of your boots, put some (not sharp) weights in the boots and place the boots in a pale/tub of water. The water should be deep enough to cover the part of the boot where the laces start near the toes. You can fill more water if you like but be careful not to exceed the waterline of the boot. The water line is never higher than the top of the tongue gusset but on most boots you can look inside and see a stitch line where the materials change towards the middle-top of the boot. The boots should be dry after 3-4 hours of sitting in the water. A failed boot can fill with water as quickly as 5 minutes or it can take over an hour. Keep in mind that humans sometimes have a hard time distinguishing between cold and wet. A boot that passes the test may feel damp to the touch inside even though it's just cold. If you have doubts, blot a tissue around so you can see if the tissue becomes wet. Make sure to put the boots on a dryer over night after the test. Love those Quests! I actually just ordered a pair of the 4d3. Looking forward to testing them out here in the next couple of months. Thanks for chiming in! Thanks for clarifying that Josh. I guess I was thinking about it more as a desert dweller and having cactus thorns go right through the entire boot! Haha. You are absolutely right though. I do want to point out that if seams and such do pop though, you are then inviting even more water to meet the surface of the actual waterproof lining underneath that. This shouldn't be an issue, as long as the lining is of quality. I've heard of quite a few water proof boots not actually being waterproof. As a product developer, could you shed light on the actual process of installing the waterproof liner? Are there different methods? I find it hard to believe that some co called waterproof options out there end up failing so quickly. Thanks again! Great article Josh K. and a ton of good info. As a product developer I would like to mention one thing: "Once the outside of the boot is compromised, your waterproof boot is no longer waterproof." This statement is not entirely correct. The vast majority of waterproof footwear on the market use a waterproof internal bootie that is independent of the boots upper (outside shell). To the author's credit, some boots (though percentage-wise not many) use Outdry or similar upper waterproofing method do in fact become compromised when the upper is damaged. Like the pictures I am a Solomon Quest 4D GTX guy. Outside of really steep terrain where you will want a stiffer boot these are the best all around for my money. 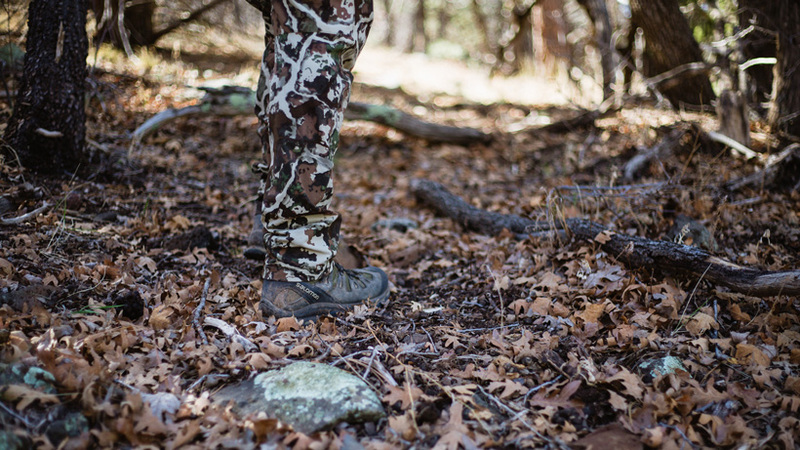 Use them for everything from regular hiking to deer to elk to upland bird hunting. I have used the green superfeet and they are nice. Recently, I've been running the BLUE SOL insoles. It's a cork design that I've found to be pretty beneficial in helping with some heel lift issues I was having. I have ran un-insulated Lowa Tibets w/Gortex bootie since 2012 (1K-2k miles on them) and they are still going strong, I plan on replacing them in the next couple years due to Rubber Rand separation. 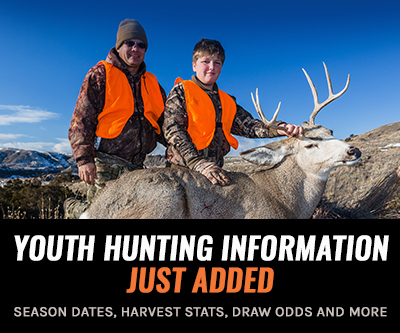 Use them to hunt elk Aug-Nov in CO, WY, ID in the worse terrain in the Lower 48. Not too hot, warm enough in late season and most importantly fit my foot perfectly, never a blister. I use Super Feet Orange. (IMO) , pick a quality insole that assists in filling up the space void inside your boot to about 90% filled (Leaving a little room for feet swelling / sock thickness options). When its cold I can run heavy wool socks, if its hot thin merino hikers. Vaportrek from Irish Setters are very nice boots. Buy a pair of Brooks Beast shoes for $180, and throw away the shoe and use those insoles. They are the best in the world. I buy a new pair of Beast every 3-4 months and steal the insoles for my hikers every time the old ones get worn out. If not Super Feet are ok if they fit. Any recommendations on good aftermarket insoles?